The Kia Optima just got a complete overhaul a couple years ago but 2019 will feature a refreshed look. More importantly, the midsize sedan will benefit from a huge boost to safety options. Extra bonus: if you’re looking for better entertainment, we have good news for you! 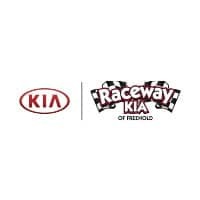 In this preview, we’ll give you the latest news about the 2019 model Kia Optima. The exterior changes aren’t so big that everyone will notice them. But a discerning eye will see the subtle changes to the Kia Optima’s front and back. First of all, the Optima got a nose job. In the refreshed exterior, the Optima demonstrates a hint of the Kia Stinger sports car. Where it was pretty flat, you’ll now see a sporty angle to the Optima’s fascia. The foglights are tucked up and in to make room for the Optima’s wider smile. If you’re not careful, you’ll miss it but the difference can be felt more than seen. The 2019 Optima is certainly edgier and sportier than the 2018. The Optima’s bold new look is met with a suite of safety features. In fact, every safety option once offered as an option on the Kia Optima now comes standard. That’s a dizzying array of features, including Forward Collision Warning, Driver Attention Warning, Lane Keep Assist, Lane Departure Warning, and Rear Cross-Traffic Collision Warning. You wouldn’t expect to see features like these on most sedans’ base models, certainly not as standard. Time will tell if this standard safety tech change is exclusive to the 2019 Optima or if other Kia models will receive similar treatment. The UVO infotainment system has been retooled to include tiers. Each tier still works with Apple CarPlay and Android Auto. The three tiers include UVO play, UVO link, and UVO link with Navigation. UVO play, standard on the Optima LX, connects your smartphone via USB to the audio system. UVO link, standard on Optima S and EX, adds maintenance alerts and audio-controlled diagnostics. Optional on the Optima EX is UVO link with Navigation, which offers map helps and two free map updates per year. We suspect most will be happy with UVO play, which is fairly affordable.